Georgia Tandem Rally – Two wheels, two seats, too fun. JOIN 200 OF YOUR CLOSEST TANDEM FRIENDS FOR THREE DAYS OF FUN. AROUND 20 SPOTS LEFT. Join us for the 21st version of the Georgia Tandem Rally. We will have three great days of socializing and riding in the rolling hills of rural Georgia. It’s the one tandem rally you don’t want to miss. SOLD OUT! 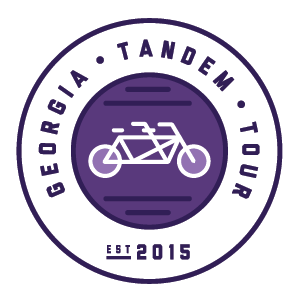 Extend your GTR experience to six days with the 4th edition of the Georgia Tandem Tour. Our pre-tour rides from the same location for all three days this year, so no moving hotels or suitcases. Contact us if you wish to attend.